More and more of us are staying up later than we should. Some experts have even started calling it a “sleep-loss epidemic”, and the growing body of evidence about the physical, mental, and psychological toll of sleep deprivation suggests that “epidemic” isn’t a term used lightly. But the causes of our sleeplessness vary, and so do the suggestions of methods that we can use to get a good night’s rest. Meditation is one such suggestion, and mindfulness meditation is one of the more common gateway techniques around. Maybe you’ve heard the mindfulness buzz from your favorite health blog, or some of your friends have given it a try. Here at Good Night’s Rest, we believe that meditation–including mindfulness meditation–can bolster the quality of your sleep, your outlook, and your overall health. But first, what is mindfulness meditation? Mindfulness is an awareness of yourself–your thoughts, feelings, and circumstances–and of your surroundings. It’s about devoting your complete attention to the current moment. Mindfulness meditation, meanwhile, is the deliberate practice of that awareness. Acceptance is an essential part of mindfulness. A mindful approach doesn’t involve suppressing all your thoughts, disconnecting from your body and its sensations, or becoming somebody else. Trying to do any of those won’t work: like thinking of a pink elephant when you’ve been asked not to, you’re more likely to run headlong into frustration if you pursue mindfulness as a kind of avoidance. Instead, mindfulness is about noticing without judgment: taking in everything that a moment brings you, accepting it, and then moving on to the next moment without letting yourself dwell on–or drown in–what came before. There’s a popular technique in improv theater called, “Yes, and.” If you’ve ever watched in awe as improv actors wove fun, compelling scenes out of spur-of-the-moment prompts, you’ve seen “Yes, and” in action. Basically, it’s about taking what’s thrown at you and rolling with it, rather than freezing up or panicking. Think of mindfulness as a spin on that technique—but instead of saying “Yes, and,” you’re saying, “Yes.” Mindfulness means taking what each moment throws at you, but not letting it lure or chase you down frantic, exhausting rabbit holes. Got a big-ticket project due tomorrow? Yes. Got an upset child screaming in your ear? Yes. Got a throbbing behind your eyes that just won’t go away? Yes. Yes—but instead of proceeding to anxiety, panic, anger, or whatever else, you simply inhabit that moment (and everything that comes with it) until it leads into the next one. That’s why presence is a word you hear a lot in relation to mindfulness. You don’t drift off into the ether. In fact, mindfulness meditation’s Buddhist roots tell you that trying to run from your thoughts or experiences brings you suffering. Wait, Do You Have to Be Buddhist to Meditate? The short answer: no. Sure, we often associate meditation with monks and gurus, but meditation is open and accessible to everyone. You don’t need to overhaul your entire lifestyle or dedicate your life to a spiritual tradition. Mindfulness meditation can be traced back to Buddhist practices, but it has since become a multifaceted practice over the years. In many countries, including the United States, you’ll find many engaged in mindfulness as a secular practice, even as other practitioners lean into it precisely for its spiritual or philosophical dimensions. 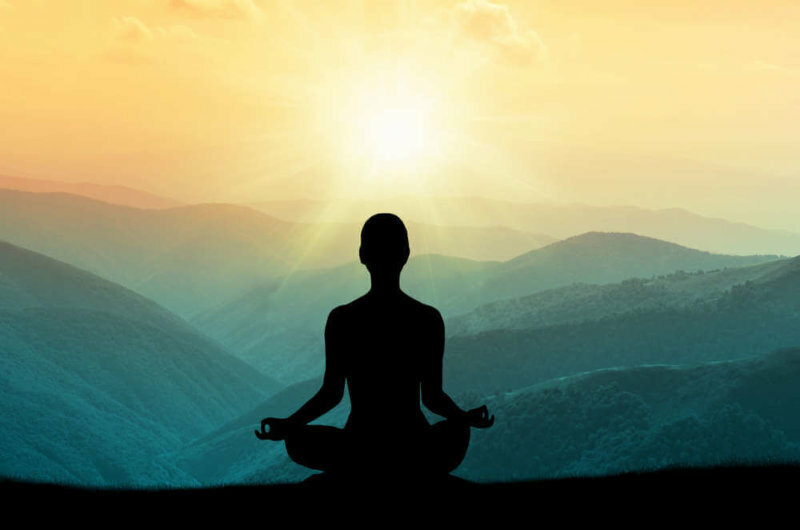 Scientific fields like psychology have also embraced mindfulness meditation, even incorporating it into patient therapies, on the basis of numerous research findings that point to its real, positive effects. 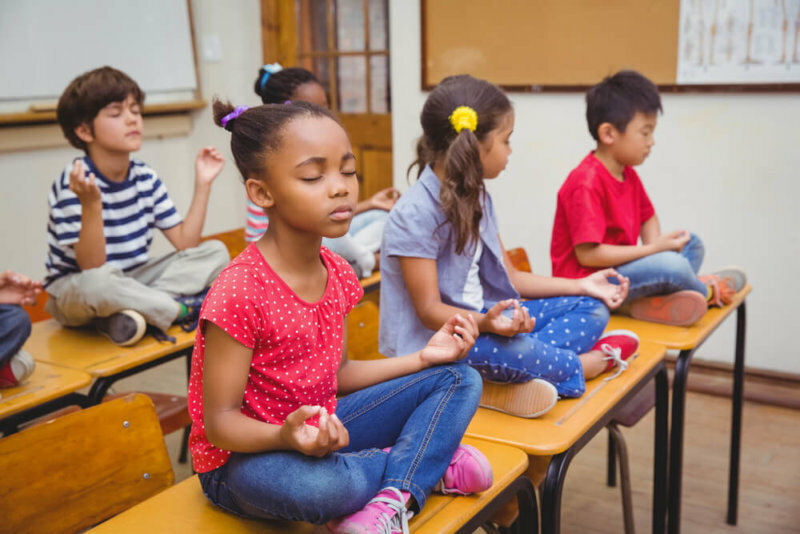 As an example, a recent study led by Dr. Elizabeth Hoge of Harvard Medical School reported that mindfulness-based programs helped quell symptoms in people with generalized anxiety disorder. Other studies have yielded similar results about mindfulness meditation’s capacity to ease other conditions, including sleep disturbances. Mindfulness meditation’s positive effects aren’t just medical. Just as the practice of meditation isn’t limited to Buddhists, mindfulness meditation’s benefits extend beyond the treatment of specific ailments or conditions. Regular meditation, even if it’s just a few minutes each day, can improve various aspects of your life, from your memory to your capacity for empathy to your relationships and your business. For a great, accessible overview of what mindfulness meditation can do, here’s a TED Talk by Dr. Kasim Al-Mashat, a trained counseling psychologist from the University of British Columbia and the University of Massachusetts Medical School. Dr. Al-Mashat draws on his own experiences to draw a vivid picture of how mindfulness meditation can benefit practitioners. How Do You Start Mindfulness Meditation? Everything begins with a willingness to learn! As Dr. Al-Mashat says in his TED Talk, you don’t need to spend six months in a Southeast Asian forest monastery to begin mindfulness meditation. In fact, though the image of a person sitting in full lotus is the first that comes to mind when we hear “meditation,” you can use a variety of formal and informal techniques and postures for your own practice. Formal strategies include programs like the Mindfulness Based Stress Reduction (MBSR) or Mindfulness-Based Cognitive Therapy (MBCT) models used in many psychological therapy programs. You can also find certified trainers and longtime practitioners offering structured courses and classes, both offline and online. On the other hand, starting a mindfulness meditation practice can also be as simple as taking five minutes out of your day to pause and focus on your breathing. It takes some practice to maintain an actively mindful mindset, and as relatively new practitioners ourselves, we can tell you from experience that there will be bumps and plateaus along the way. Luckily, there’s no shortage of excellent resources that you can tap to help sustain your fledgling practice. It may take a few tries to find a technique or program that helps you sustain the right mindset, but as many studies, experts, and new or longtime practitioners can attest, the effort will be worth it.